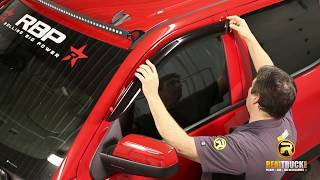 EGR Slimline tape on window visors mix slick modern styling and quality construction with functional design to deliver the ultimate window visor for your vehicle. They're a great match for your vehicle and come in your choice of either two or four piece visor sets (depending on whether you have a two or four door vehicle) that are custom fit to the make and model of your ride. The primary benefit to installing EGR Slimline tape on window visors on your vehicle is to help keep out rain while your windows are rolled down, as well as to block excessive heat from the sun while parked. The increased comfort and ability to get fresh air in your cab even during precipitation is worth the affordable price of these window visors alone. The attractive dark smoke finish of these tape on window vent visors from EGR also provides enhanced style and a refined look for your vehicle. They go together well with other aftermarket accessories and are an excellent visual complement for your vehicle customization efforts. Thanks to their slim construction, they also have a streamlined look that's more appealing than typical bubble-style visors. Installing your EGR Slimline tape on vent visors is also super easy to do. 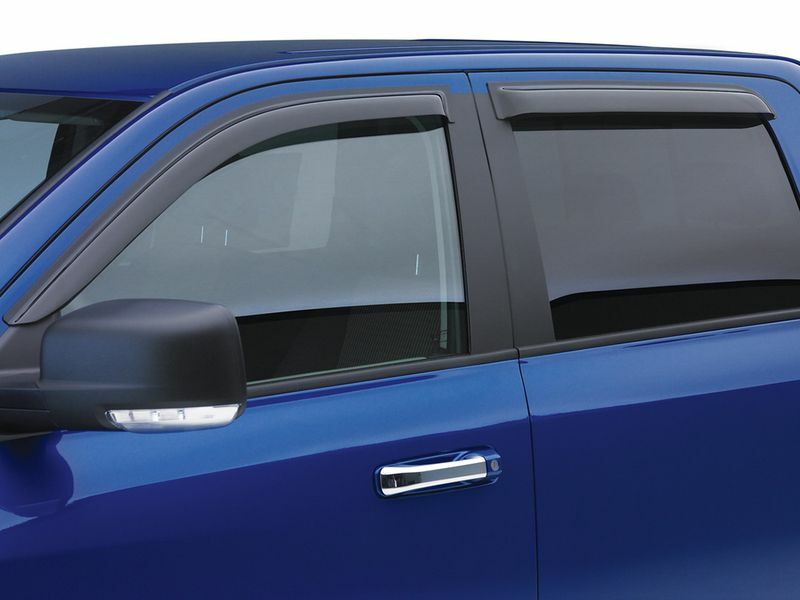 The necessary 3M adhesive tape, which is automotive grade, is included with each set of window visors. There's no drilling involved and no need for fancy tools. It just takes a few minutes of your time and you're good to go. Order your vent visors with free shipping (on orders in the connected 48 states) from RealTruck.com and a limited lifetime warranty from EGR! This product offers an easy, at home 3M tape on installation. The installation manual is clear cut and easy to read.